As our life spans increase, we need permanent solutions to replace missing teeth. Dental implants are very important to our overall health and well-being. 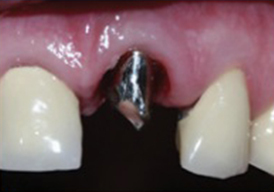 A lost tooth or teeth can be replaced with dental implants. a cylindrical metal post that is implanted into the jaw. the prosthesis which is the part that replaces (and looks like) a real tooth.